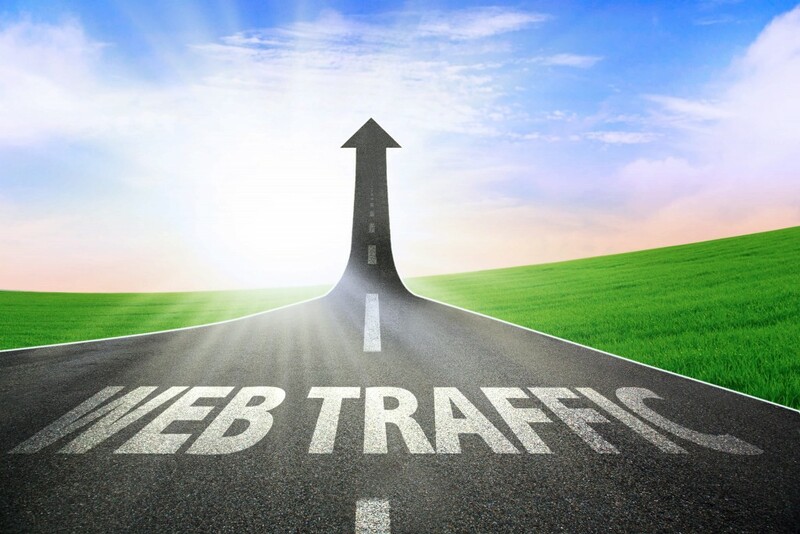 These are my TOP 5 TIPS to increasing traffic to your website. Something that all website owners and business owners strive to do. Whether you have a small budget, a big budget or no budget at all, there’s more you can do to drive wave after wave of potential customers to your site. Social media sites are the best example of free advertising space on the internet. Almost everyone uses them, including your future customers and clients and they are a great way to secure these potential clients. Depending on the industry your business is in, it is best to start off with Facebook. Setting up a page is easy and could take you less than 10 minutes and for the potential reach the page can have, this is 10 minutes well spent. Now, we need followers. Chances are you have a Facebook account or someone in your home does, use this, it is much more valuable than you may have thought. Ask your friends to follow your page, even getting 10 of your closest friends to follow is a start, their follow will be shared to all of their friends and all of a sudden, we are 15 minutes in and your businesses name has appeared in front of potentially hundreds of new faces, at the very least you are starting to get your name out there and generate interest, just be sure all your social media accounts link back to your site. Post regular content to your social pages and your web traffic will increase incrementally with the following of your social pages. You can’t beat free! Paid advertising quite simply works. Corporations would not be spending the millions they are on it if it didn’t and from personal experience; using Facebook and Google to promote your site is the best combination out there. A Facebook campaign will put your business right on the news feed of your potential client and will specifically target those who have been searching for keywords similar to yours online. However, this also means it is highly likely your ad will be fed to your competitors too, as they are the ones searching for similar keywords more than any client ever will be, not a warning, just something to consider. Google Ad campaigns throw your website right to the top of the search results, targeting people as they are searching for your services, which is great but it is important to remember that some keywords are more expensive than others and both Facebook and Google ad campaigns are pay per click meaning, if you don’t know what you’re doing, you can end up spending a lot of money on clicks that simply get you nothing in return. In this scenario it would be recommended to speak to a professional. SEO is the acronym for Search Engine Optimisation. That is to optimise ones website to please the algorithms of Google and its competing search engines. Performing SEO on a website is not an easy task and it is important to note that results are not immediate but if done right, over a short period of time, search engines like Google will begin to like your website, see it as relevant content and rank it higher on the search engine result listings. Quite simply put, the higher you are on those listings, the more you are seen and as a result your web traffic will increase. It can not be stressed enough how important it is to have a website that works well on devices with any sized screen. Having a responsive website is no longer a recommendation, it is now a requirement according to Google themselves. A user on a mobile device should never have to zoom in or swipe left and right to view content, they need to be able to see all of the content and interact with it easily. This is important for two main reasons. The first is that a large majority of people are browsing the internet on mobile phones and tablets now, this is a giant share in the market that you should not be ignoring if you are serious about generating more web traffic. The second reason links back to our SEO, Google absolutely punishes websites who are not user friendly and sites that are not mobile responsive are considered to be completely unfriendly to users which will take a drastic affect on the sites rankings. Industry standards in the world of websites change constantly, each year new code is released, new software comes out and lots of other things change in the online world. It is very important to keep up with these changes or once again search engines including Google will start moving your site back down the rankings. Don’t be afraid to monitor your competitors, see what they are doing, note new things they have added or new styles that are emerging. While it is important to stay unique it is even more important to stay relevant and users will certainly not hang around long on sites that look old and redundant. Your website is the first thing many people will see of your business, so make sure you maintain it. That should well be enough to get you started on boosting your websites traffic. If you’ve got any questions or would like to share how you increased your web traffic, let us know in the comments below.